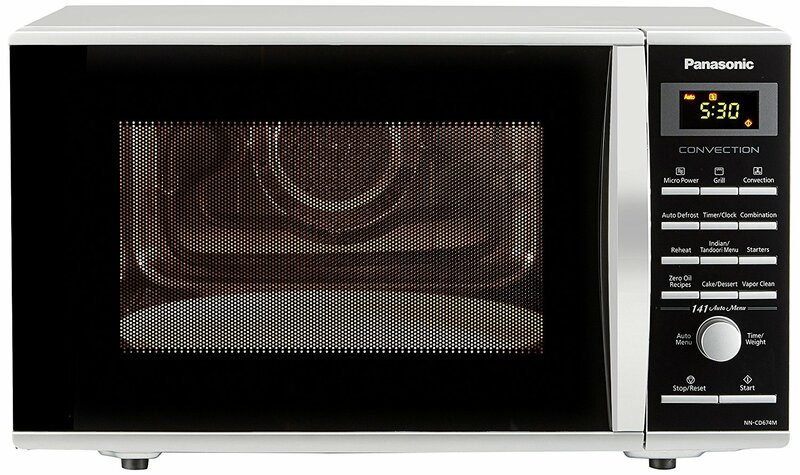 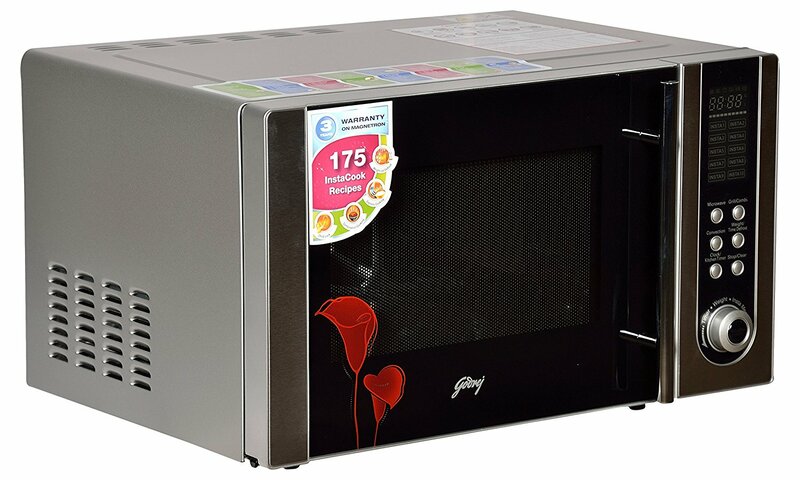 Godrej 23 L Convection Microwave Oven (GMX 23CA1 MKM, Sliver) has a wide range of advanced features for easy cooking at home. 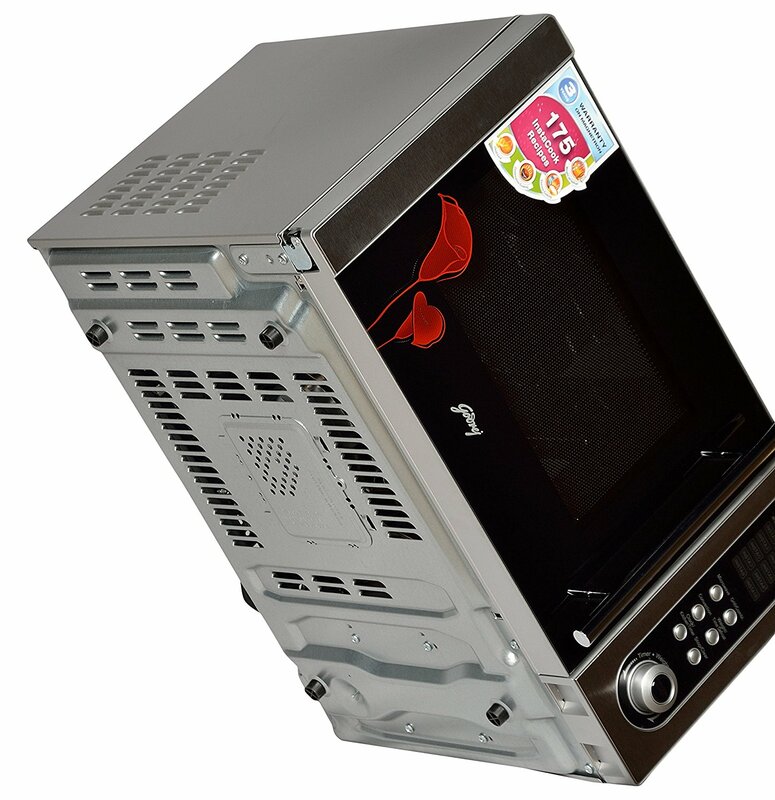 It has 161 auto cook menus, good auto-protection features, digital display and multi-stage cooking modes. 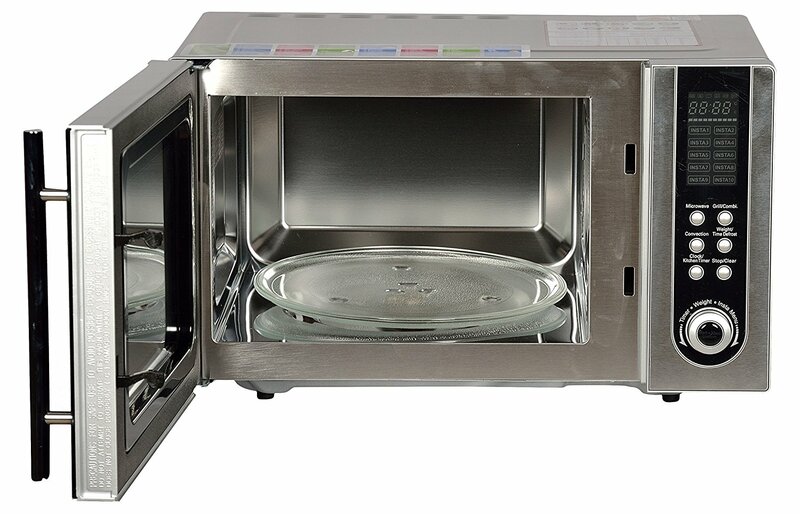 With the features such as stainless steel cavity, jet defrost, child lock, auto reminder, steel clean bowl, concealed quarts grill rack, starter kit and crusty plate cooking can really be very easy. 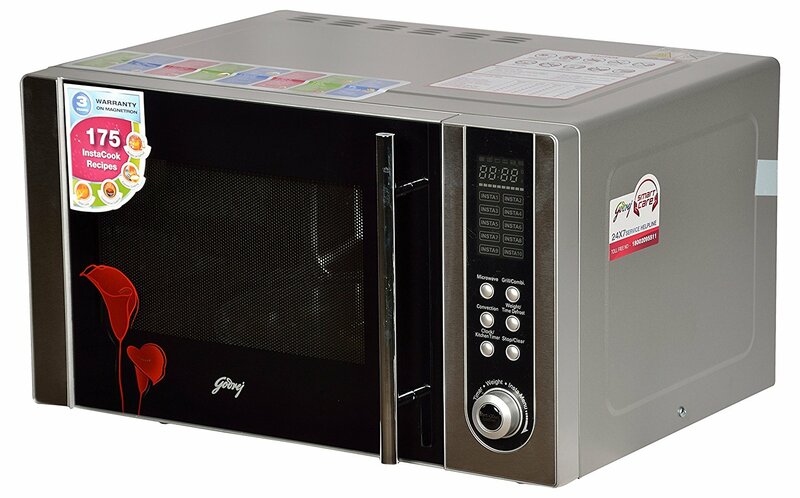 On the other hand, it comes with 23 liters of capacity that is really very impressive capacity to accommodate larger portion of foods, large plates and other large food packets. 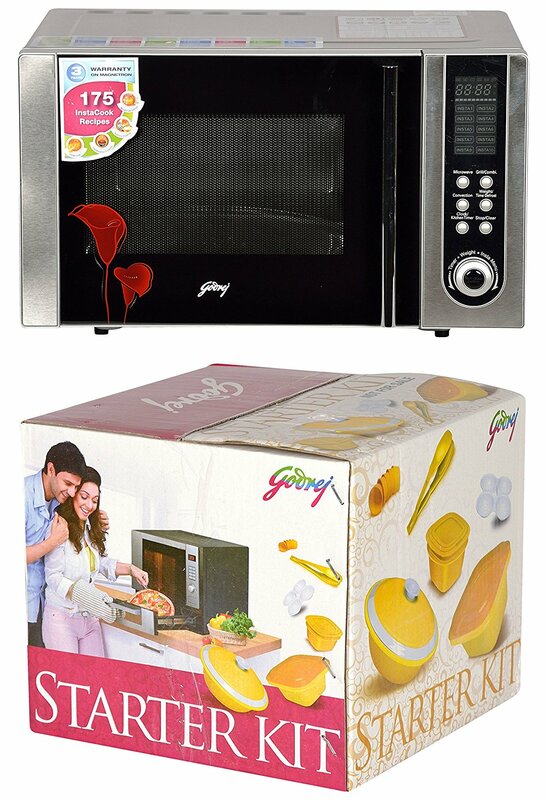 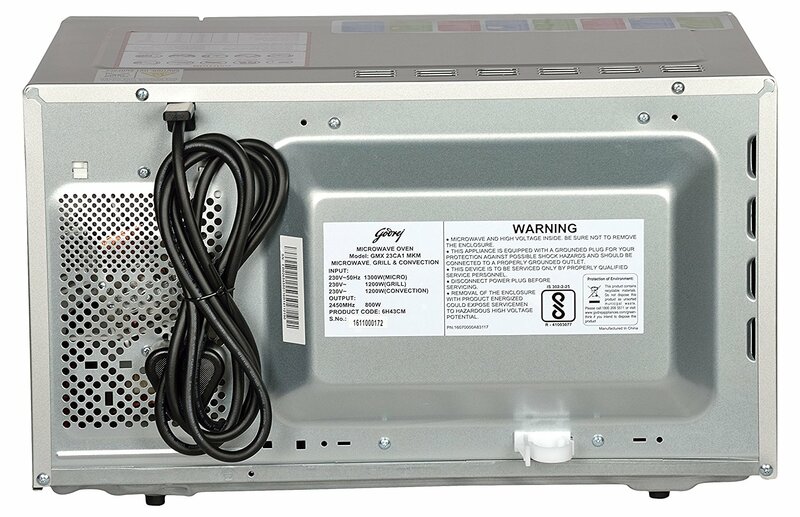 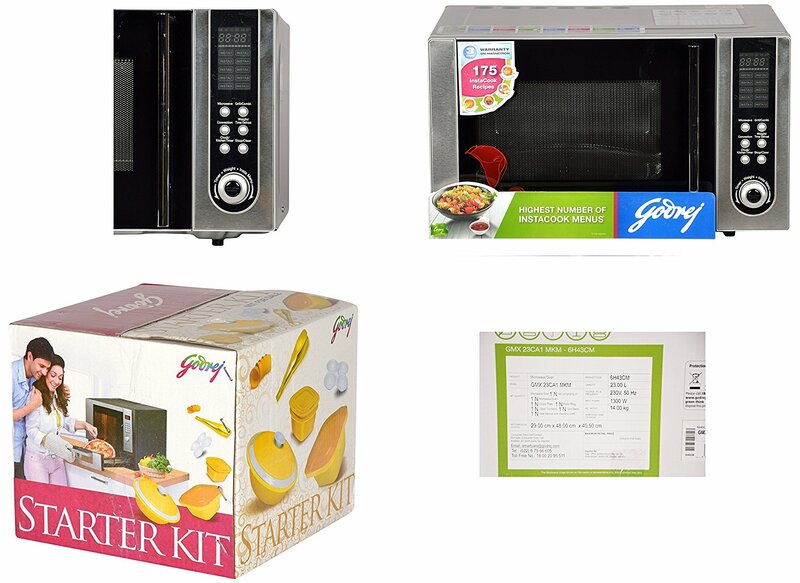 This 23 liters Godrej convection microwave comes with all required accessories such as warranty card, user manual, crusty plate, grill stand, roller ring, and glass turntable.